I experimented with my first trees today. In the lazy post thanksgiving haze, I decided to try and copy some trees seen outside my windows. After playing my third BA game on Steve's beautiful table, I decided I should contribute to the terrain pool. If you know of nicer ways to make trees please let me know. I am new to this. If I had a lighter orange/yellow fine ground covering I would add that as a step 5. 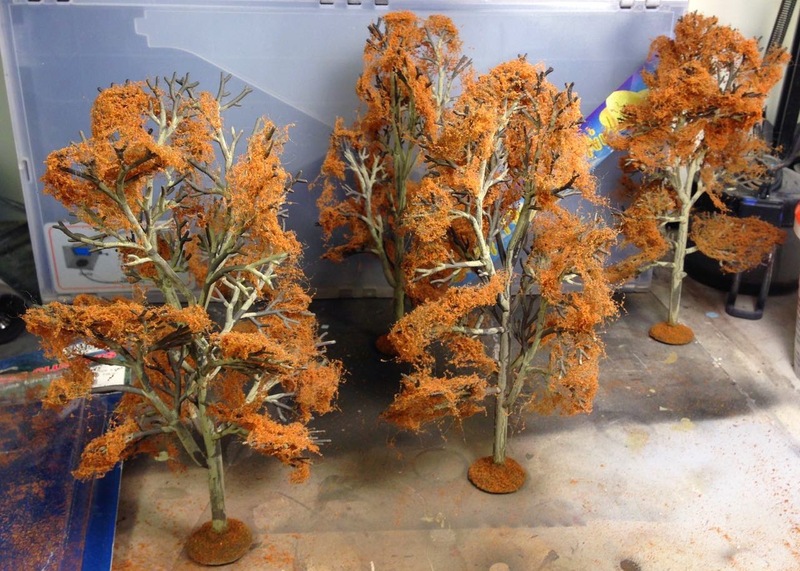 I think a lighter color on top of the branches would provide a little needed color variance and shading. 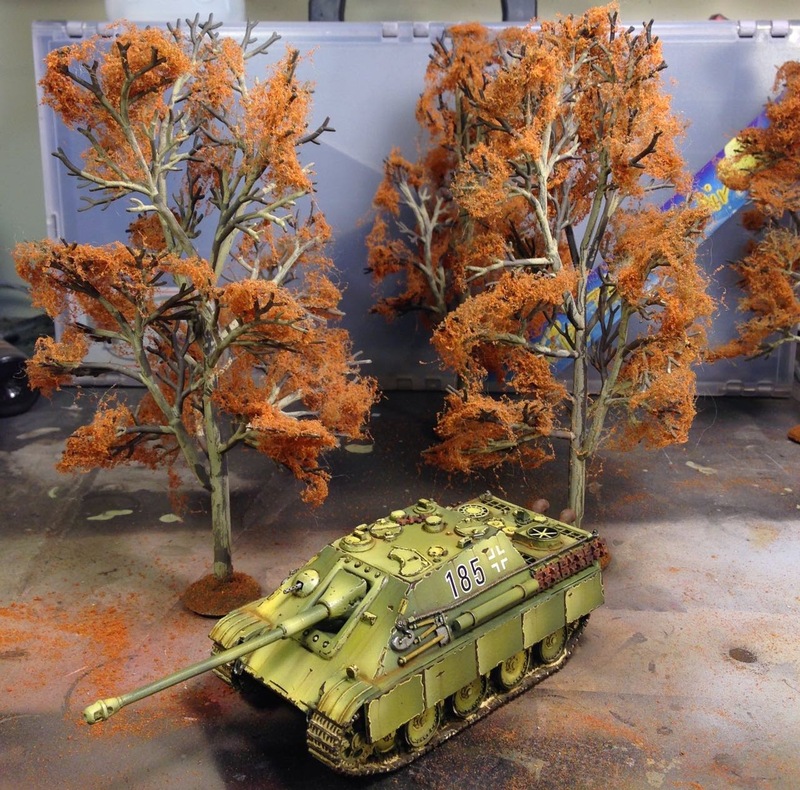 The Jagdpanther was painted in preparation for one of our bolt Action games. My BA models are almost test models for my DKoK force. At this point the color pallet is set for my next 40k army. One of the fun things about playing a new game is that none of us has a stock of fully painted miniatures. Every game is an opportunity to paint additional models to add to the group. Our collective lack of painted models also makes me want to paint models for both sides of the game, ensuring we have some interesting choices on game day. Because the forces are known and the color schemes are not surprising, we can easily mix and match from what we all have available. Hopefully this truck will get to serve with the US Infantry continuing its advance off of the beaches. Our next game table contains bocage, which are dense French hedge groves. I can see this truck following closely behind a Sherman tank, letting the Sherman cut a path through the bocage. 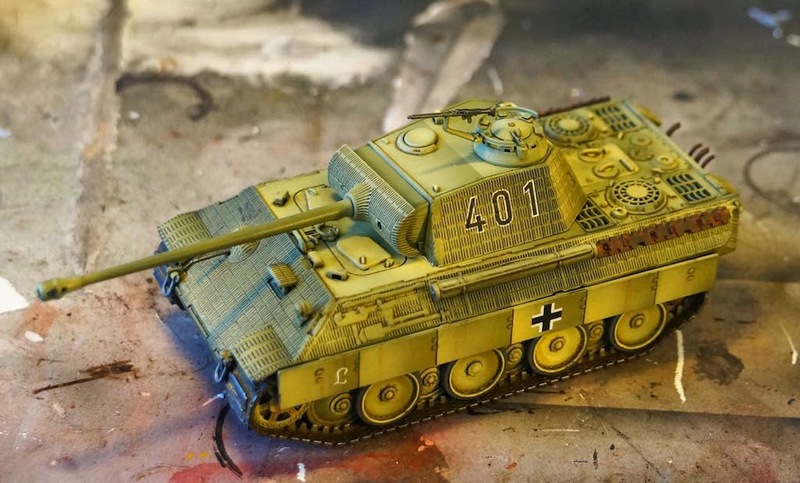 This kit is the plastic m3 kit from Warlord Games. The kit was a bit annoying to put together, and the driver is a bit mushy on the detail, but I am happy with the kit. It is the older all metal kits from Warlord that I would stay away from. Painting was quick easy. The dull coat added a blue tint which I've noted before. I thought it would not be as noticeable, but stands out pretty well. On this model I tried a new technique for the first time. 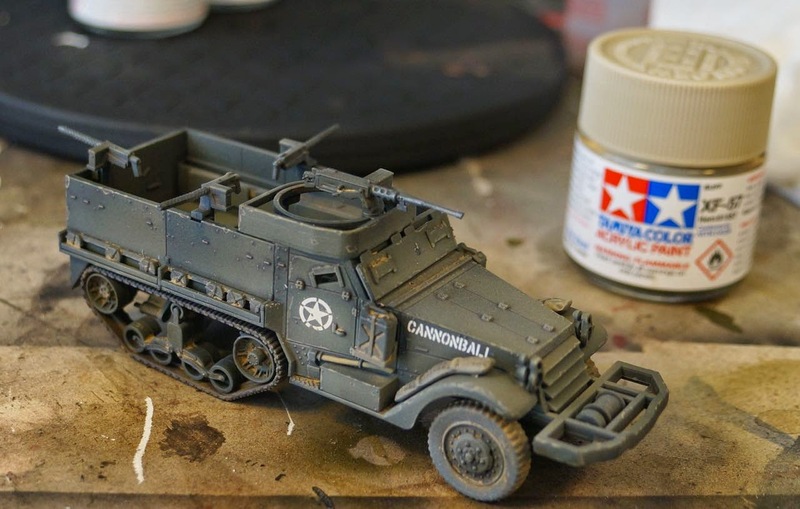 I had been reading about tamiya Buff colored paint, and how a general spray overall added a nice subtle dust appearance. I mixed a roughly 10/1 thinner to paint ratio, and sprayed Buff all over. I think that worked really well. It is subtle enough to not have obliterated my shading, but also ties everything together. As usual powders are all Secret Weapon Miniatures. A second application of powders will be done on the tracks and a few key places such as the fenders. Just realized that I forgot to add streaking! I had my first game of Bolt Action a few weeks ago. It was good. It was really good. 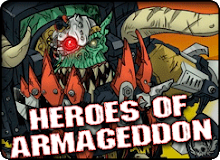 I strongly recommend the game, and think the mechanics could even cross over to 40k. The random activation mechanic, and the reduced dice rolling from 40k, makes for a fast reactive game where tactics appear to matter. In one afternoon we managed to play three games of BA. Kudos to Steve for organizing our Bolt Action outing. 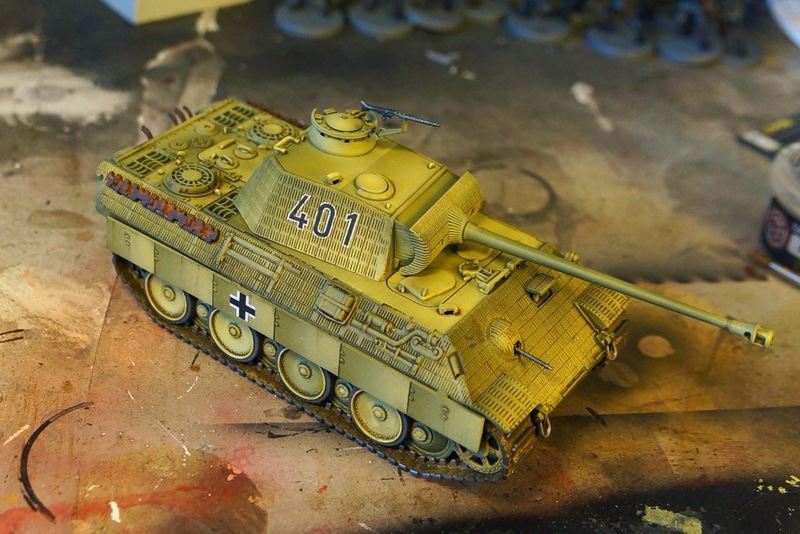 One of the benefits of Bolt Action, is that it is very inexpensive to get into, and there are a lot of alternatives to the heroic scale BA miniatures. This low barrier to entry meant that I have started three armies. I've painted more than one tank at this point, which is overkill for most games, but I think having some equipment variety will be fun for scenario building. BA was designed for infantry tactics, so more than one tank is overkill. On the other hand, the tank expansion was just released, which allows for players to field platoons of tanks. 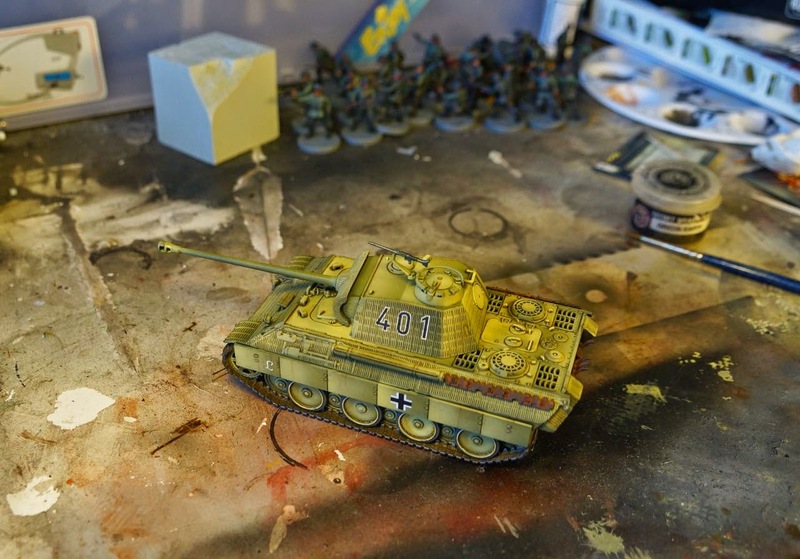 A tank destroyer is on the painting table as I write this. In the far back right of the second photos, a shot of the 30 German Heer infantry can be seen. Those are Wargames Factory models that I picked up for 20 dollars. A single box produced 5 squads, a sniper team, and an HQ section. 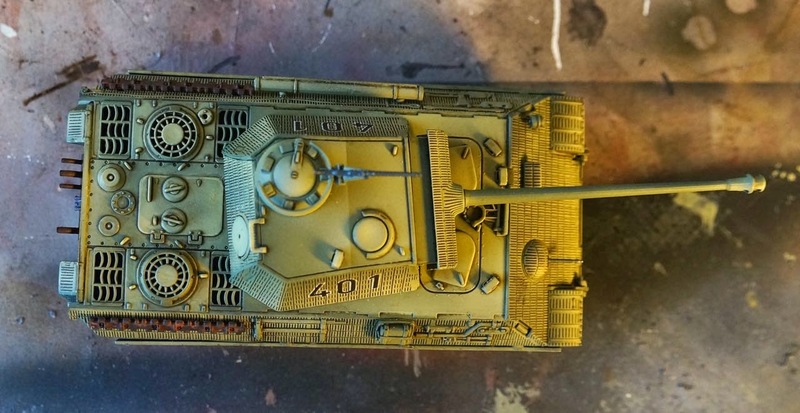 There are downsides, the models have very shallow details which makes washes hard to apply, and the parts are labeled, but there are no instructions. I think the models will look nice enough on the field, and I like that they are more realistically proportioned. 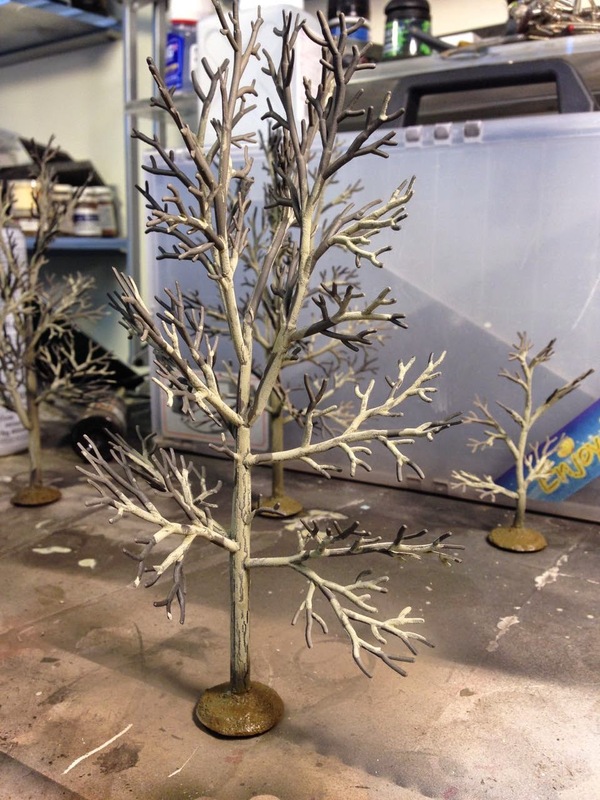 In the wings is a D.A.K army which is undergoing paint scheme testing. 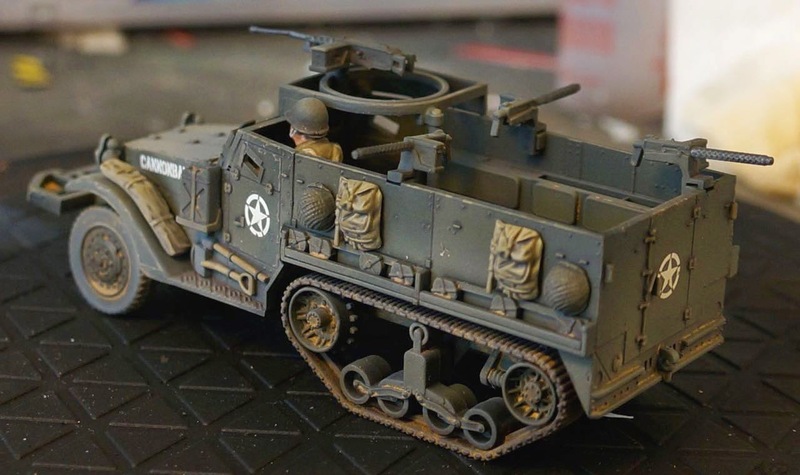 I love the look of sand worn vehicles with Germany grey showing through, however I have yet to manage to make the look work. So all things considered, I am loving this foray into historic gaming. I makes me want to build more interesting gaming tables.....and on that note, a giant box from Secret Weapon Miniatures arrived...whoa... so good.